Put mayo, yogurt, salt and pepper in bowl and mix well. Add all other ingredients except vinaigrette and stir to coat. 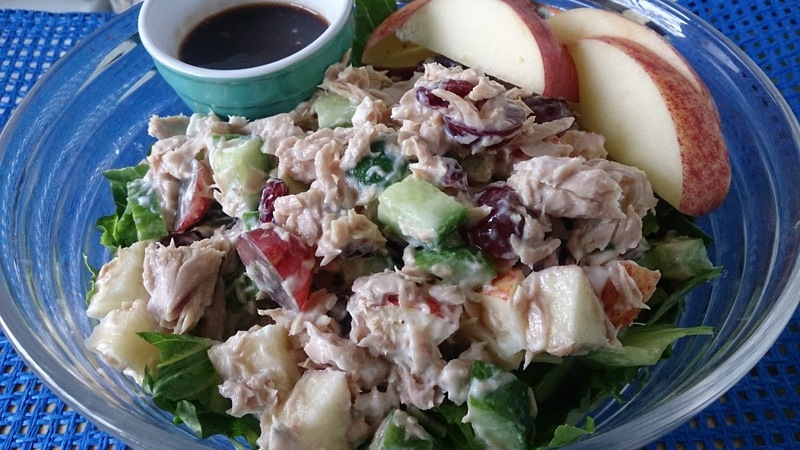 Put tuna mixture on top of lettuce in a large bowl. Drizzle with vinaigrette or serve on the side. Simply Filling + 3pp Depending on the ingredients you use.